Church of the Virgin Mary - Where is The Church of the Virgin Mary? 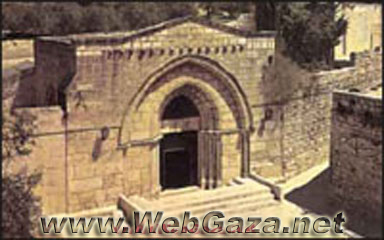 At the bottom of the valley, as one descends the Mount of Olives towards Gethsemane, there is a church that dates back to the early 5th century, which is said to contain the Tomb of the Virgin Mary. The present entrance and facade is from the 12th century. The Tomb is a chamber in the middle of the church and is carved into a rock. The most important feast celebrated in this church is the assumption of Mary in the month of August. Next to this ancient sanctuary, in the same valley, is the Church of Agony where Christ prayed for the last time on a rock.